Capt. 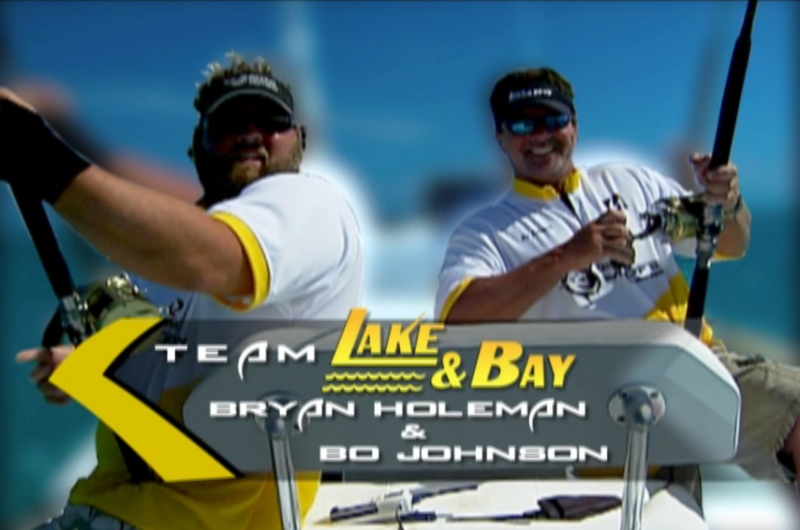 Bo Johnson, along with partner Capt. Bryan Holeman, on the Quiznos Mad Fin Shark Series. By Kyle Carter, KEY WEST, Fla. When the announcement was made, all they could do was smile and shake hands, but you could see the pain in their eyes. The only thing that separated Quiznos Madfin Shark Series rookies Bryan Holeman and Bo Johnson (Team Lake and Bay) from fifth place and a chance to fish Day Two was water in the fuel line. They made what they considered a modest run to their sharks, but a 15 minute ride out turned into an hour and 20 minute ride back, making them 30 minutes late. At a 10-point deduction per minute late, their score of 800 was officially marked as 500. It was a little more than just bad luck. Johnson and Holeman had prepared for bad luck. Both anglers fish the Oh Boy! Oberto Redfish Cup and are accustomed to boat problems coming up at the worst times. What they ran into on Wednesday was something else. “Unfortunately this happens to both of us a lot,” Holeman said. “Bo might have the worst luck on the Redfish Cup, but my brother [Travis] and I are second in line as far as having bad things happen to us. Their angst actually started before the tournament even started. During practice, the team had gear case trouble and a boat was driven overnight from Naples, Fla. (270 miles) to give them a backup. They didn’t have any trouble with the gear case on Day One -just water in fuel at the worst possible time. The two were torn with emotion because they actually had a good day on the water. They hooked up with seven sharks (four different species) and pulled three into the boat. Their 800 points would have had them in a nice spot to make the four-team final on Friday. They were 2200 points behind the leaders, but since the weights are going to be zeroed after Day Two, just making the final would have been good enough. Johnson and Holeman have never fished together, but they seemed to work well with one another on the water a little too well. “I peed myself today,” Johnson said. “I literally peed myself we laughing so hard. My sides hurt for about an hour. And all that success was despite the fact they had to throw their practice out the window. Holeman said he’s used to sight fishing for shark with artificial bait and flies in this area. “What we did today was a lot different for me,” Holeman said. “The water we were fishing was dirty, but we had sharks in that area in practice and we decided to stay with it. They said it was a good day of fishing, but with four fish lost, they admitted to making some mistakes. Any of one of those sharks would have had them fishing Thursday, but both said they loved the experience.